Native Content Advertising provides the opportunity for your company to position yourself as an industry thought leader. Native Content Advertising is paid digital content on RBJ.net targeted to a professional niche audience. Share your message with our influential readers. RBJ.net averages over 55,000 unique visitors monthly. The audience is affluent, educated, decision makers. Establish your business or organization as a thought leader on a particular topic. Fuels social media and creates opportunities for readers to share your content. Your content and image will be featured on RBJ.net. A link, from your content on our home page, to the full article will be featured on RBJ’s homepage with a minimum 50% share of voice. Your company can submit up to 4 articles per month. Start and end dates for each article must also be provided. Native advertising will include a leaderboard (728×90 pixels) and medium rectangle (300×250 pixels) digital ads on the article content page. 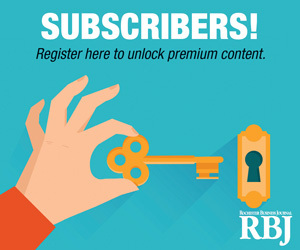 Your content will be shared through RBJ’s Facebook, LinkedIn and Twitter feeds once per week. At the end of the campaign you will receive reporting to show traffic, impressions and click through rates. Upgrade to our print option and get a Full page color ROP ad that runs in the RBJ! Webinars are a great way to share your knowledge on trending topics and become a thought leader in your industry! Our webinar package includes a 45 minute panel discussion on your topic of choice and 15 minutes of Q&A. The event will be marketed to The Daily Record and RBJ subscribers and opt-in news alert readers. This exclusive opportunity provides direct access to Rochester’s top business leaders and decision makers. Webinar with topic and participants of your choice. Can be moderated by you or by our editor. 3 half page ads in the The Daily Record and 3 half page ads in the RBJ promoting the webinar with your logo. 2 eblasts to The Daily Record and RBJ’s marketing databases promoting the webinar. Sponsor logo in all marketing. Co-branded email to the The Daily Record and RBJ’s online subscriber database of 23,890. This can be designed by the sponsor and submitted to us, or our digital team can design based on the client’s specifications. Medium rectangle on The DailyRecord.com and RBJ.net for one month.